DURHAM, N.H. - As recent news headlines have shown, bystanders can play a pivotal role when it comes to sexual assault and relationship violence. But experts will tell you that the most challenging part is spreading awareness about bystander intervention, especially among teens and college students. That's why researchers at the University of New Hampshire are looking at gaming as a way to introduce intervention strategies. They found that video games show promise as a tool to share information and influence bystander attitudes and efficacy in situations of sexual violence. "While talking one-on-one is the gold standard when it comes to the importance of being the bystander and doing something to help, we wanted to find a more familiar way to reach a generation that is used to getting their information in a fast-paced online format," said Sharyn Potter, professor of sociology and executive director of UNH's Prevention Innovations Research Center. "We thought that creating gaming scenarios that immersed players in trivia games or role playing environments might help us tap into some of the harder to reach populations." In their study, recently published in the Games For Health Journal, researchers at UNH's Prevention Innovations Research Center and the Tiltfactor Laboratory at Dartmouth College collaborated with nine students of varying ethnicity, gender, and fields of study to create two video games that teach bystander intervention skills to college students in situations of sexual and relationship violence and stalking. The research team pooled ideas to create a trivia game called Mindflock and an interactive scenario game called Ship Happens that were pilot tested by college freshmen. Each game included subject matter related to sexual assault and bystander intervention, as well as general campus information, pop culture, and entertainment so the main themes of the game would not be too obvious and potentially cause participants to lose interest. Awareness material and practices from Bringing in the Bystander® In-Person Prevention Program and the Know Your Power® Bystander Social Marketing Campaign, both developed by UNH's Prevention Innovations Research Center, were woven into the games. 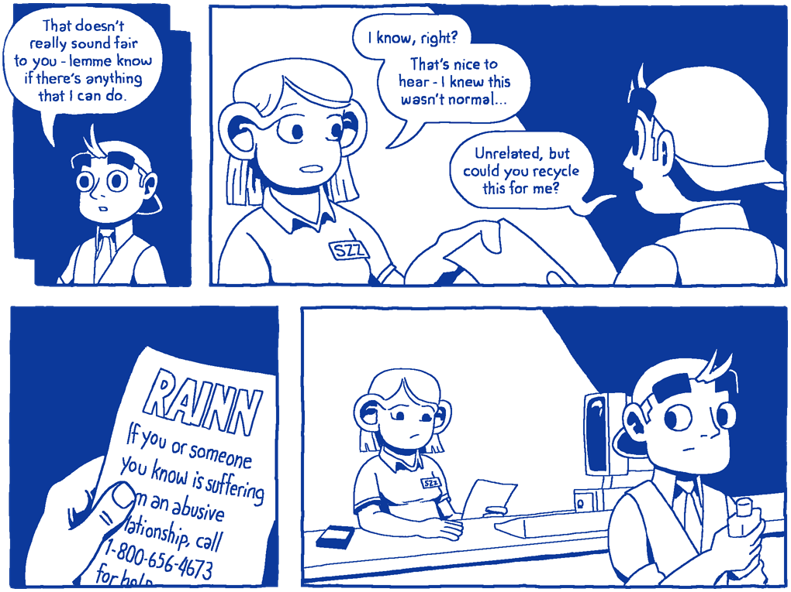 The video games drew from the real-life scenarios of college students and emphasized the importance of community responsibility in reducing sexual and relationship violence and stalking. Researchers found that both games had a significant impact on participant bystander efficacy and attitudes and that video game platforms can be effective mechanisms for conveying public health behavior information by giving players an opportunity to privately practice skills that require confidence to use in public. The interactive scenario game was especially effective in increasing male attitudes toward bystander intervention. "While this is one piece of a larger puzzle," said Potter, "It's an exciting way to engage college students, especially young men. Gaming is something most young males are familiar with so it is comfortable and engaging for them." Sexual assault is the most common violent crime committed on college campuses today. One in five women has experienced a completed or attempted sexual assault as an undergraduate. Due to high rates of victimization, sexual assault is a major public health concern for women in particular. Researchers find that a history of sexual victimization increases the risk of high cholesterol, stroke, and heart disease for men and women. In a different study, sexual violence victims report higher rates of adverse psychological reactions such as depression, anxiety, post-traumatic stress disorder, suicidal ideation, and sleep disturbances. In newly published research, Potter and her colleagues also find that campus sexual violence has a negative impact of victims' education and career path. Co-authors for this study include Hannah Hodges and Jane Stapleton, both of UNH's Prevention Innovations Research Center, and Mary Flanagan and Max Steidman of Tiltfactor Lab at Dartmouth College. This research was supported by the National Institute of Justice, Office of Justice Programs, and United States Department of Justice. 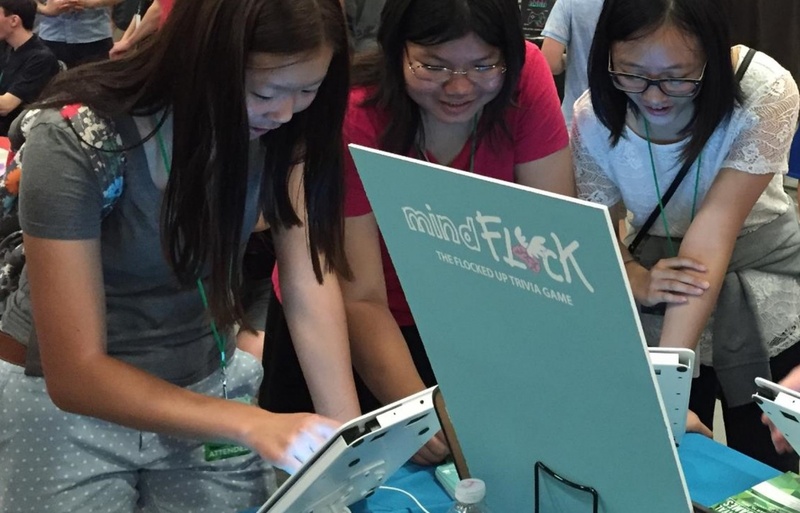 College students playing Mindflock, the trivia game created to help teach bystander intervention skills in situations of sexual and relationship violence and stalking. 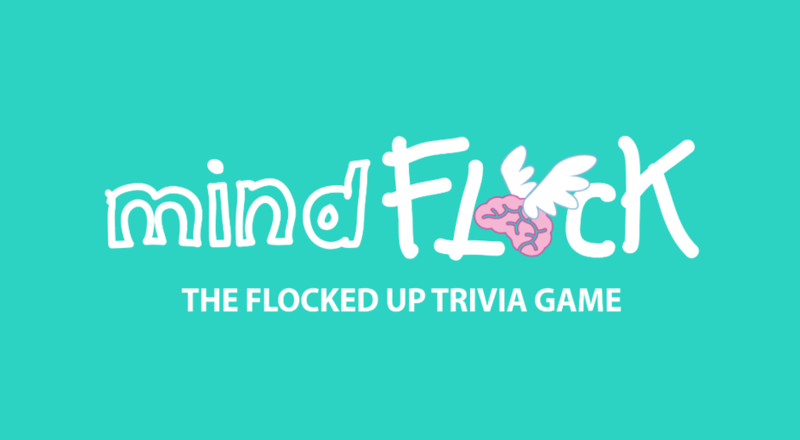 Screen image for trivia video game, Mindflock, which includes subject matter related to sexual assault and bystander intervention, as well as general campus information, pop culture, and entertainment. Logo for interactive scenario video game, Ship Happens.